Water damage can rapidly create many unexpected difficulties for families and businesses. 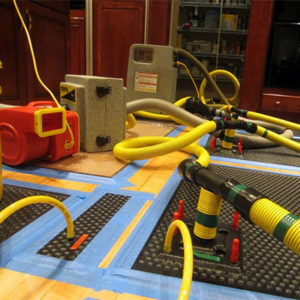 At American Restoration Disaster Specialist, our restoration professionals utilize the latest technologies to alleviate the impact of water damage to your property. Our 24/7 emergency response team is available to promptly respond to your call. Aside from these problems, you may also find water damage caused by incorrectly installed downspouts, sump pump failure in basements, neglected gutters, and holes in your roof. Water damage can also occur as a secondary effect of fire damage because the water used to douse the flames can cause additional damage to your property. ARASAY y Ileana wonderful employees that worked great together and did fantastic job!! Dusty Melton and Paul Radford were so patient and explained the whole process. They did a great job and care about the professional service they provide. Due to a plumbing issue we had about 2 hours worth of cold water running from a shower plumbing pipe down into the garage below. The water also ran into closets, hallways, and bathrooms. Our plumber's insurance company is the one who obtained American Restoration. Jacob Lemley called us to tell us that his crew was on their way and gave me number to reach him at any time during the process. The initial team, as well as those that followed, came from Shelby which was 1 1/2 hours away. Eric VanDyke and his team, Jeremy Lookabill and Caleb Edmondson did an awesome job reviewing the damage and working with my husband to get a pre- game plan going. Even though it was after 5:00, the guys had awesome work ethics and attitudes. Jacob followed the next day along with Eric and Jeremy L to further along the game plan of drying us out. They did so in order for us to have access to the areas of the house we needed. Eric then transitioned us to Jeremy Jann and Michael, who was in training. Step 1: Immediate Communication and Scheduling – when you call our line at 855-432-2728, our service representatives will determine the severity of your water damage problem. We will ask you specific questions about your situation and with the information you supply, our team will dispatch an emergency response crew to help immediately address the issue. Step 2: Water Damage Assessment and Inspection – when our team arrives at the address you provide for the water damage restoration work, they will assess the extent of the damage and the cause. Initial steps that will be taken at this stage include turning off the water main, checking the level of contamination of the water, and determining the severity of the damage. Power may also be turned off at this point to ensure that no one gets electrocuted during the initial inspection. Step 3: Water Extraction – at this point, any standing water in the area that is to be worked on will be removed. 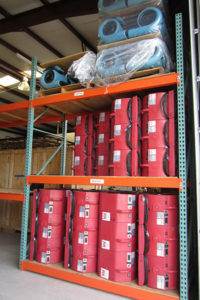 This is done with equipment that includes industrial-grade wet/dry vacuums and submersible pumps. Apart from the removal of water, items that are submerged in the water are removed, packed out, and moved out to prevent further water damage and the spread of bacteria. To ensure that all traces of moisture is removed from the affected area, moisture detectors and other similar tools will be used. 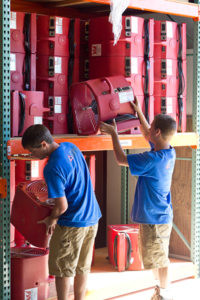 Step 4: Drying and Dehumidification – to further ensure that no trace of moisture is left in the area, the use of drying equipment such as dehumidifiers and industrial-grade fans are used. The entire property is aired out as well to ensure that no hidden moisture in cracks, crevices, walls, ceilings, and under the floor is left behind. 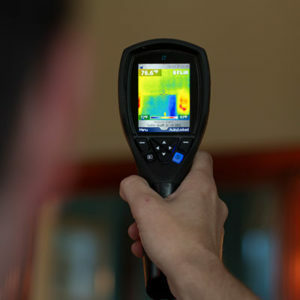 Continuous tracking of the humidity levels in the space is done to make sure that everything is thoroughly dried out. Step 5: Cleaning and Deodorizing – this is the stage where the area is cleaned of all debris and dirt that may need to be scrubbed off. Dried-up mud, dirt, and other residue left in the area are cleared out at this point. The area is also deodorized and disinfected to ensure that no bacteria and harmful contaminants are left behiind. The work that is done here can include the use of fogging equipment, odor removers, sanitizers, air scrubbers, and anti-microbial agents. Step 6: Restoration Work – once the area is dry, clean, and ready for repairs, the restoration and repair step of this process can begin. Damaged drywall, ceilings, flooring, and other structural parts of the area that have been removed, will be reconstructed, reinstalled, and repaired. Tiles are checked and restored, paint is replaced, and any carpet that is pulled away and will be restored. Following these steps will help us make sure that your property is taken care of and any damage is mitigated as well as it should be. 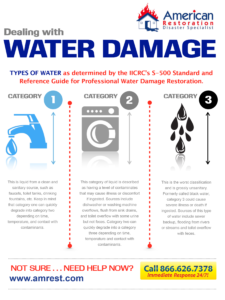 When you need water damage restoration in Greater Charlotte, NC, and surrounding areas, contact us at 855-432-2728. We have a 24/7 emergency response team for water damage cleanup, fire damage restoration, mold removal, storm damage restoration, and reconstruction services for the areas of Greater Charlotte, NC, Shelby, NC and other cities in our North Carolina and South Carolina service area. We responded with our mitigation technicians and worked late into the night and the next day, drying the building and removing all wet materials. We replaced the ruined drop ceiling and insulation in the foyer. 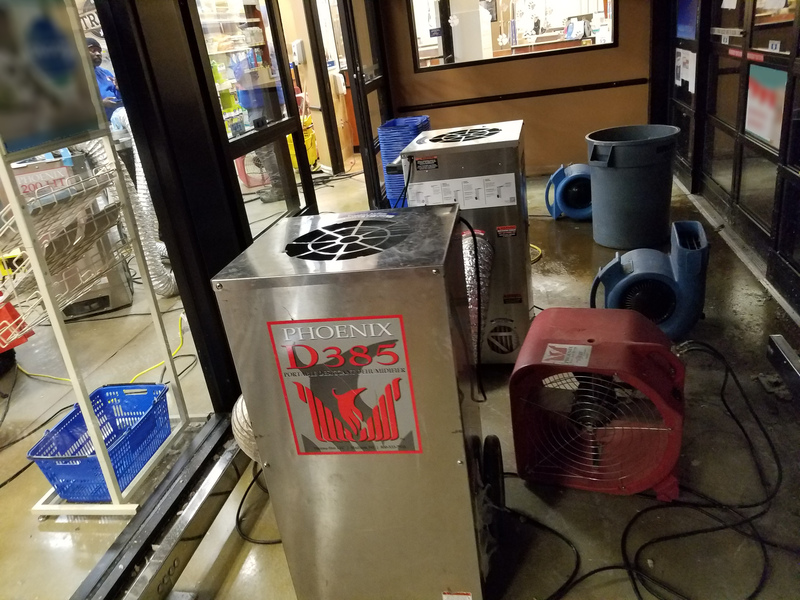 The store was able to open the following day, and our team continued to work quietly to remove remaining wet insulation from the walls so as not to disturb customers. Because American Restoration responded so quickly, only minor repairs were needed. 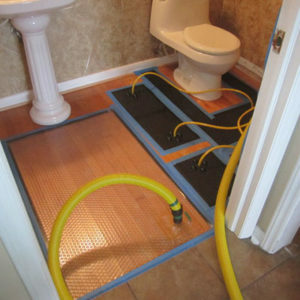 American Restoration removed the wet vinyl in the bathroom and the wet laminate in the bedrooms and hallway. We pulled the insulation, which was ruined by water damage, from under the house and set up containment so potential hazards didn't spread throughout the home. We then set up dehumidifiers inside the house and underneath the house, and placed fans inside the house to dry the sub-floor. 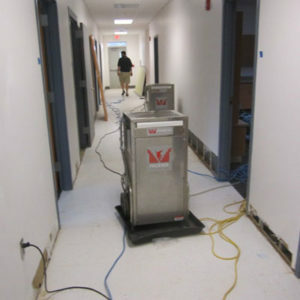 The American Restoration team removed the contaminated cabinets and drywall, set up containment around the affected areas, and installed an air scrubber. In the crawlspace our team installed dryers and dehumidifiers to remove all traces of moisture from underneath the home. The images are a great example of what can happen when water damage is not properly mitigated. When left untreated, wet areas inside and underneath a home can lead to extensive mold growth, which can cause a number of health issues. Luckily, our team responds 24/7, and has the proper tools and training to decontaminate and repair mold-damaged homes.